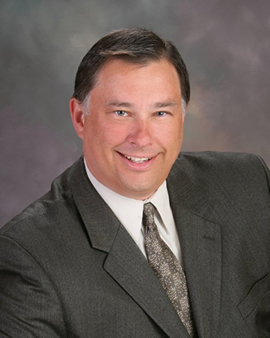 Thomas Weathers (Aleut) | The Law Offices of Thomas Eagle Weathers, P.C. Mr. Weathers is Aleut and an enrolled member of the Qawalangin Tribe of Unalaska in Alaska. Mr. Weathers is the principal and owner of The Law Offices of Thomas Eagle Weathers, P.C. where he practices Indian law, business law, and related litigation. Mr. Weathers advises and litigates on behalf of tribal and non-tribal clients on a range of matters involving torts, governance, contracts, economic development, gaming, finance, taxation, land use, real estate, eminent domain, leasing, rights-of-way, commercial ventures, administrative law, insurance, resource development, construction, transportation, employment, personnel, housing, code drafting, and Indian child welfare. Mr. Weathers is known as a leading expert on the Indian Child Welfare Act. Mr. Weathers enjoys practicing law – particularly Indian law and business law – because of its complexity and ability to help people. He has worked at big firms, medium firms, and small firms and has been honored for that work by Super Lawyers, Best Lawyers in America, and Lawyers of Distinction as a top attorney in Indian law and business law. In his practice, Mr. Weathers has negotiated many consulting, loan, partnership, management, financing, construction, purchasing, employment, licensing, leasing, land use, easement, and real estate agreements worth millions of dollars; counseled clients in complicated tax, insurance, and business matters; and successfully litigated in tribal, state, and federal courts across the country. He has also helped clients restructure substantial debt, renegotiate loans in default, and realize economic development goals. He has extensive corporate and litigation expertise. Mr. Weathers is a past-president of the National Native American Bar Association. He currently serves as an appellate judge for various tribal courts and has served as a judge pro tem for tribal trial courts and for state small claims courts. Mr. Weathers has dozens of publications and presentations to his credit on issues ranging from civil litigation practice to the Indian Child Welfare Act to Indian law basics to economic development in Indian country. He also appeared on a legal podcast to discuss Indian law. Mr. Weathers is admitted to practice in all state and federal courts in California, Alaska, and Washington, as well as the U.S. Supreme Court, the 9th and 10th U.S. Circuit Courts of Appeals, and multiple tribal courts throughout the country. Mr. Weathers earned his undergraduate degree from Pomona College and his law degree from the University of the Pacific, McGeorge School of Law where he graduated Order of the Coif and “With Great Distinction” in the top 2% of his class. He also served on the law review. After law school graduation, Mr. Weathers clerked for a federal judge on the U.S. District Court for the Eastern District of Washington. After his clerkship, Mr. Weathers joined the San Francisco law firm of Long & Levit where he specialized in complex civil litigation in both state and federal courts. He then joined the Oakland law firm of Crosby, Heafey, Roach & May P.C. (now Reed Smith LLP) to continue his practice in complex civil litigation, with an emphasis on business, land use, eminent domain, construction, property tax, and Indian law matters. In 2003, he helped form Alexander, Berkey, Williams & Weathers LLP to focus his practice in Indian law. Mr. Weathers joined Vasquez Estrada & Conway LLP in 2012 to expand his practice, gain greater resources, and be closer to home. He formed his own law firm in 2015 but remains affiliated with VEC. Mr. Weathers volunteers on the board of the San Rafael Little League and serves on the San Rafael Fire Commission and the California State Bar Council on Access and Fairness. He is an active member of the Sangster Inn of Court and a former member of the Alameda County Bar Association East Bay Diversity Bar Coalition.